Ecosource have the exclusive rights to distribute Big Belly Solar Compacting Waste Unit in the UK. A Big Belly Solar bin reduces the number of bin collections by 86% as it compacts waste and alerts collectors automatically. Revenues in 2013 were £1.9m and they have been successfully trading for five years. They have requested £25,000 to import additional Solar Bins from the US to lease to councils who they have established contracts with in the UK. Investors offer at their chosen rate. CSG Asset Management is the investment and asset finance arm behind the UK's fast growing renewable technologies brand, Ecosource. Ecosource have the exclusive rights to distribute the Big Belly Solar Compacting Waste Unit in the UK, which is completed through the CSG Asset Management Ltd, the group's leasing arm. The main customers for these units are Local Authorities due to the cost savings these units create by eliminating premature emptying. 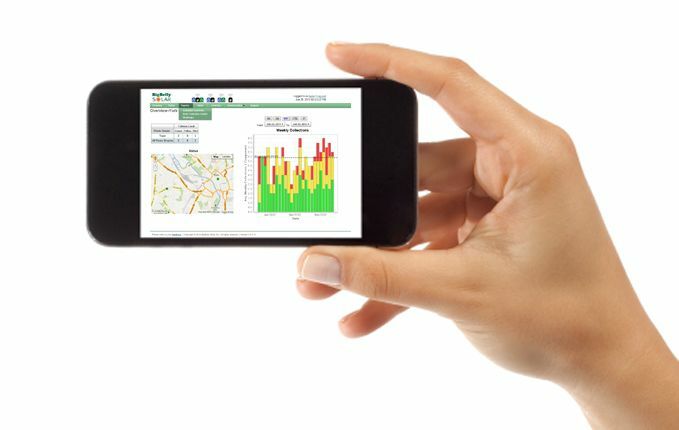 The units communicate with operators to make them aware when they reach 80% capacity, helping to lower the operating costs, fuel consumption and greenhouse gas emissions associated with premature collections. Big Belly Solar reduces number of collections by 86%. By leasing these units to councils, CSG Asset Management allow councils to offset a monthly financing cost with operational savings, making the implementation of these bins an easy decision requiring no up-front expenditure. Big Belly Solar combines solar powered waste compaction, efficient recycling solutions and networked management software which ultimately enables clients including Bath and North East Somerset, Nottingham City, and York Councils to reduce operating costs associated with waste collection by upwards of 80%(1). Totally self-contained due to their built-in solar panel, the unit is already in active use around the United Kingdom and across the US and Europe. See links below to find the nearest one to you! Ecosource leases Big Belly Bins to over 60 Local Authorities in the UK including Bournemouth, Bath, Nottingham, Aberdeen, Lancaster, City of London, Merton, Bromley. Please see the Ecosource website for testimonials. 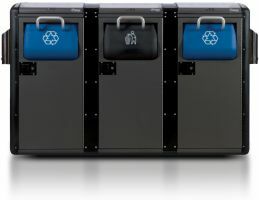 In the process of rapid expansion, Ecosource requires additional Big Belly Bins to use for trials and one off events as part of the business development process with the view to gain rapid traction large scale trials are better than one or two units. E.g. current pipeline requires bins to trial (typically 4-8 weeks) with Leeds City Council, Dorset Waste Partnership, London Borough of Kensington and Chelsea, Stirling City Council. All want to order up to 500 units each (circa £2m+ order value) subject to proven numbers from a large scale trial. 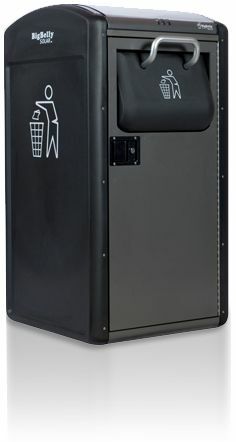 Funds are sought for the purchase of additional Big Belly Bins from the USA, to allow them to complete these trial with councils prior to them leasing them. This is the successful procurement process that has been experienced with other councils to date who are actively leasing multiple bins. The loan will be made to Ecosource' holding company CSG Asset Management, which has multiple areas of operation. Investors are offered the opportunity to contribute to a £25,000, 4 year term loan to CSG Asset Management Ltd. The facility will be backed by a personal guarantee of the directors of the business and will be repaid in capital and interest payments made monthly. Investors pledge their investment using Crowd2Fund's unique reverse-bidding process. Investors offer at the interest rate of their choosing, with the most competitive bids included in the final offer to the borrower. Interest rates are gross of fees and taxes. "CSG Asset Management is the investment and asset finance arm behind the UK's fast growing renewable technologies brand, Ecosource."